Reading The Garden of Evening Mists around this time last year while overseas filled me with a sense of longing and heimweh. 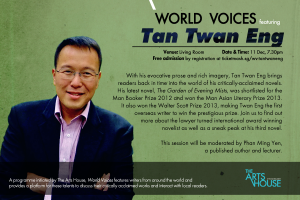 Tan is a master storyteller, drawing the reader into his world with lush evocative descriptions. He blurs the lines between black and white, right and wrong, and at the end of the book, even if you feel that the characters made some wrong choices, you cannot say that anything otherwise would have been better. His writing is sometimes thought-provoking, sometimes philosophical, and always captivating. 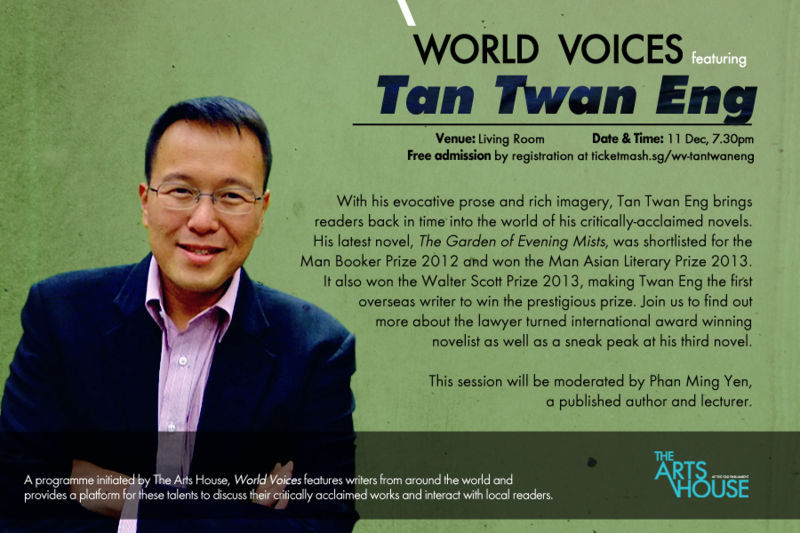 Join him at The Arts House tomorrow evening (11 Dec 2013) at 7.30pm as he talks about his upcoming novel among other things!